planning a cross country plane trip with five kids can be overwhelming. planning a trip with one kid is overwhelming. over the years and with numerous cross country and overseas trips with my kids, i've gained experience if nothing else. once you get the packing of the suitcases done, here's the next step. the thought of spending five plus hours on a plane with five children is enough to send me into the fetal position in a corner. it is daunting. still, i have done it several times and have come out (almost) unscathed. here is how we managed. 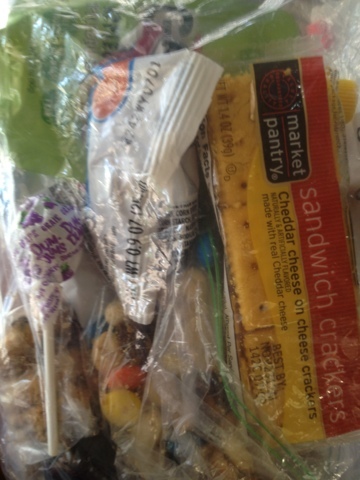 prepare activity backpacks for older children (readers) i pack a backpack for each child old enough to carry one. they are full of things to do on a plane ride. each kid has their summer "homework" book by grade, something to color, markers and pencils, books to read, flash cards and at least one electronic devise. this is my daughter's backpack and hers included a *ds* to play. each child also has their own chargers in case there are plugs under their seats as well as their own head phones in a plastic bag inside their backpacks. the head phones also work on flights that have individual tv screens for each passenger. we were fortunate to have one of those planes for one of the legs of our flight. these have kids choices for their viewing pleasure. i think i had "good luck, charlie" on one, "phineas and ferb" on another and, "mickey mouse clubhouse" on a third. that's heaven for at least an hour or so but you'll need those head phones. 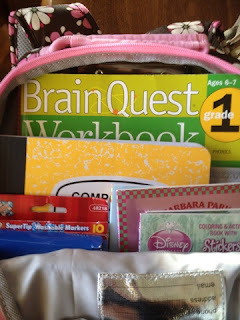 prepare activity backpacks for older non-readers. this was more challenging for me. i have one child that is just entering kindergarten this year and a two year old. for my older non-reader, i packed much of the same items that his older siblings enjoyed. he still has a school workbook to enjoy, i brought two smaller books for us to read to him, he had coloring books and markers and a leap pad to play on the plane. he had is own charger and headset as well. i wanted to find a book that he could enjoy while the other kids were reading. i was so happy to discover an old "where's waldo" book. this was fantastic! he spent a solid hour searching for things and the older kids even got involved to help in the search. cheap and easy enjoyment. small toys: matchbox cars, play airplanes, etc. a lift the flap book - this one was a life saver. it filled a really long time as he had to open each flap on each page. this one has 50 flaps. that's a lot for a two year old. trade off who sits with the two year old just to keep things moving. watching the plane take off. if you can just occupy air time, that's easier. napping. bring whatever will make this happen. car seats on the plane. we brought our car seat on the plane for our two year old. i've heard of people bringing car seats into movie theaters. this is sort of the same principle. the kids are used to sitting in car seats. they know when they are in them, they have to be seated and stay strapped in. besides just being safer, it eliminates the constant discussions about why a child has to stay in his or her seat. this worked wonders for us. we have a *brica* car seat transporter. it's like a dolly for your car seat. the seat straps onto the transporter and you lean back and go. we even used it to get around in the airport. 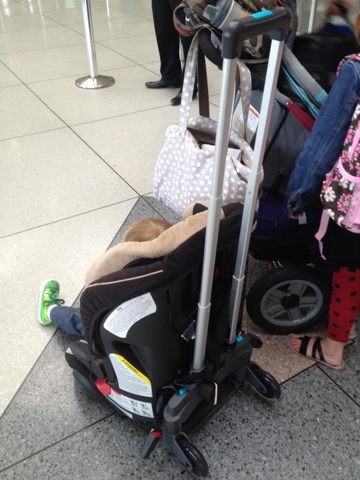 here's my son's cute shoes poking out while he sits and waits for us to head to security. i can't tell you how many parents stopped me to ask where i had purchased mine. it made life *so* much easier. dress warmer than you think. planes can be chilly. it's easier to take clothes off if you are hot than to find something to keep your kids warm. dress them in layers and let them peel them off if necessary. bring any possible medicines you may need in case of an emergency. this one may sound extreme but we learned the hard way. we have a couple of kids with asthma and within the first hour of one of our flights, one of our boys had an asthma attack and all of our meds were packed in our suitcases under the plane. luckily, his attack wasn't severe so we just rode the rest of the trip out and then got the medicine and gave him a breathing treatment in the airport. it would have been a lot easier to have it on hand and eliminate the problem. better to be safe than sorry! bring all the infant care items...and then some. packing for an infant isn't that much different than packing diaper bag would be on a normal day. just pack extra. make sure you don't forget a change of clothes in case of a big baby poopy or spit-up. disposable bags for dirty diapers are also a must on long plane rides. i also do something crazy. 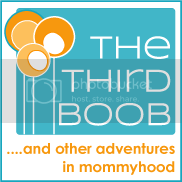 i bring my boppy or "my breast friend" on the plane. babies that do not have their own seat are held...the whole, long plane ride. this is so much easier if there is something you can lay them on. it is also a life saver when they fall asleep. before i thought of bringing the pillow, my arm would fall asleep along with the baby and i'd have to shift which would inevitably wake the baby up. baby and mommy are so much more comfortable this way. that's it! i hope this is helpful and that all your travels are good ones. the more prepared you are, the more relaxed you'll be once the plane takes off. don't worry. it's just one day. you've got this! Our flights are twice as long, with a connection but I only have three kids. I don't have the luxury of flying with my husband so it's off on my own to see my family in California. Good mentioning the rechargers. We have never had a plug on board BUT on *delays* we were so glad to have them with us! They plugged them in on the ground so that the battery was full for the flight itself. I know they say not to do this but we don't fly every day and I recharge electrical things to the hilt before leaving. That cart looks better than the Gogo, which is so overpriced. I just use a regular luggage cart with a telescoping handle and it works just as well. Always a *metal* and never plastic based one-experience speaking! I found bringing a boppy bulky. I could position mine just fine with a ring sling. You know there's also an inflatable, not boppy but another brand of this kind of pillow? A good carrier is a must with an under 3 year old. A good quality carrier should go that long (forget those Bjorns and other front packs which hang the baby by its crotch). 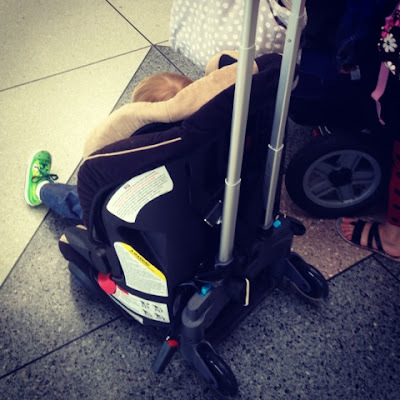 I see to many parents stuffing unhappy toddlers into strollers. They get clingy in airports and want to be held at the worst moments. I popped them in the sling, had my hands free and could get my connection on time! Also, the sling was magic for calming crying babies on airplanes. Other passengers would ask where I got mine when they saw how crucial it was for easy flying. I also use sippy cups instead of water bottles. This way, they don't spill. Now the older two go for those sports bottles instead but it's the same deal. Fold up the tray table and it can go in the seat pocket. Please, at LEAST 1/3 more diapers than you think you'll need. Estimate how many the baby goes through in the same door-to-door time frame of your trip. I can't tell you how many parents run out on flights! Every time we had a delay, I'd think, they'll start running out... Sometimes we had them, usually not. Of course I had to pack more because if I was flying on my old company, I knew if a passenger ran out, they'd run to ME to ask for diapers since they knew me and of course, an ex-Flight Attendant WILL have extra diapers!